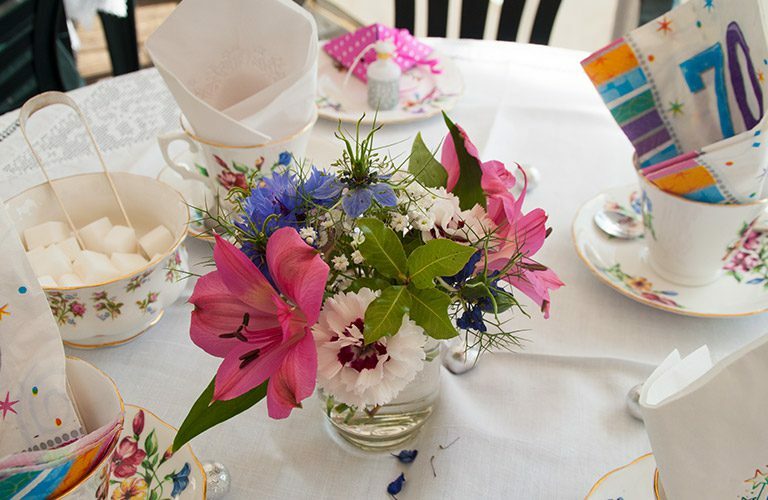 Our award-winning cream teas, served in fine bone china tea sets, include scones that are freshly baked each morning, local clotted cream and our homemade jam using fruits from the farm. Light lunches include home-made quiche, home-grown jacket potatoes and freshly prepared toasted sandwiches served with salad. 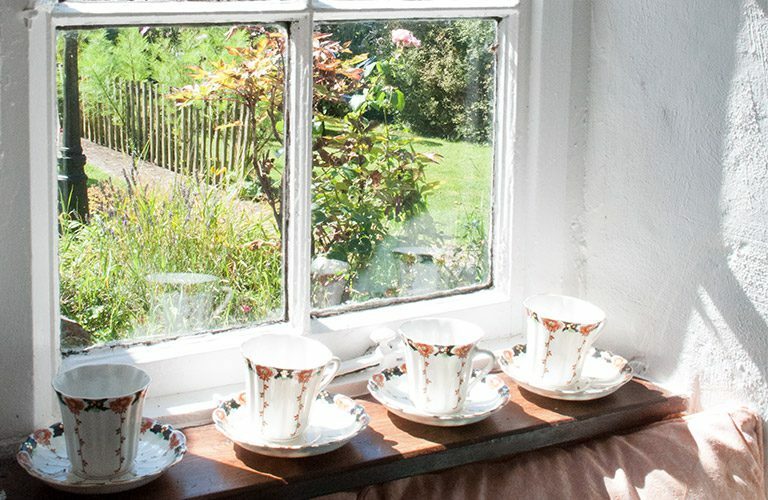 Our tea room is located in the oldest part of the farmhouse – a 17th-century former coaching inn, complete with original beams and fireplace. While very quaint, the room is not huge, so we do recommend booking. During the warmer months, however, we have plenty of outside space in our beautiful gardens. 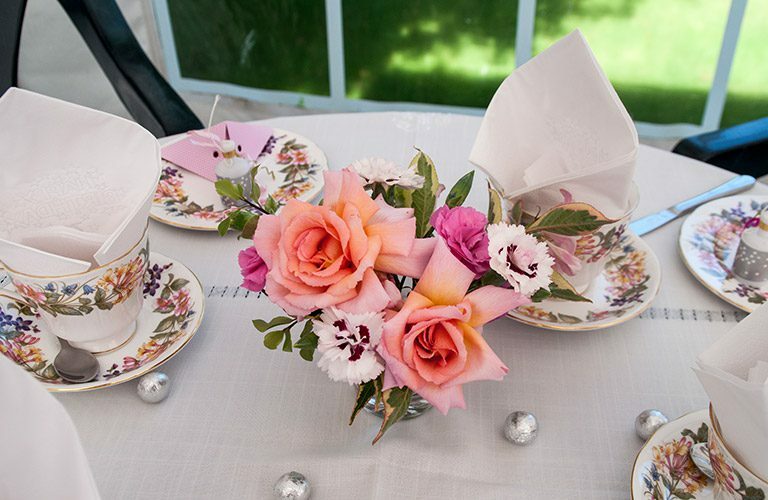 We accept large parties and have hosted some very successful birthday celebrations, baby showers and walking parties. Please note for larger parties we do require an advanced booking and deposit.